Who says that French innovation is on decline? 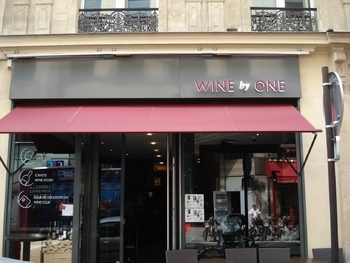 Stéphane Girard has proved that innovation in France is well alive and kicking by opening a new concept of wine tasting and wine cellar with his WINE by ONE bar in Paris. The idea behind WINE by ONE is to make wine tasting fun and accessible to everyone from neophytes to wine experts in terms of selection and price. In his two “WINE by ONE” bars, Stéphane Girard offers at least 100 wines to sample by glass, which comes in three sizes; "Impression" (3 cl), "Temptation" (6 cl) and "Sensation" (12 cl). 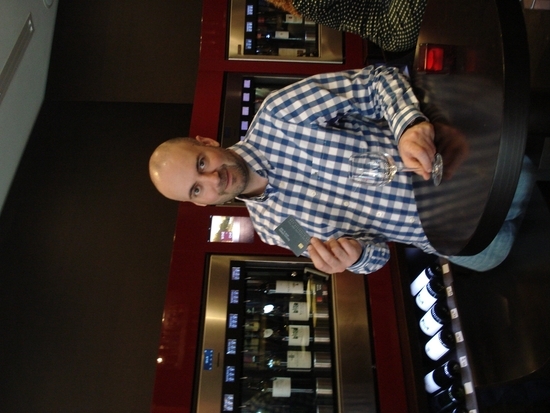 To keep so many bottles open simultaneously, Mr. Girard uses a special machine called Enomatic, which dispenses glass-sized or smaller samples. 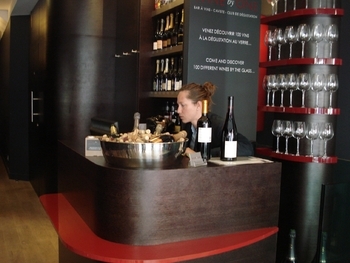 The visitors could navigate through all the bottles displayed in the shop and if they really enjoy what they have in the glass, they can also buy the bottle away, as in the cellar. The customer can make their choices by asking a wine assistant on place or by touching on the “Wine Pad” screen for a detail description of their wines. 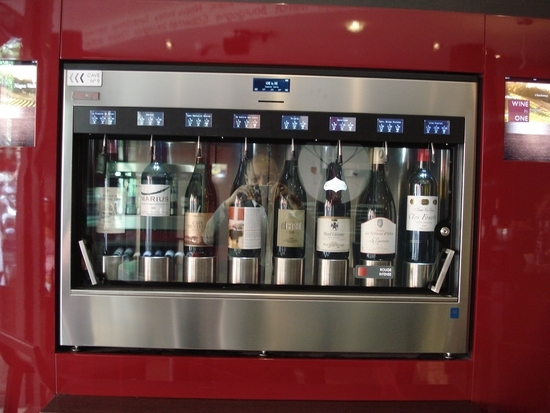 To pay for his wine, the customer slides his smart card into the Enomatic machine (which will be loaded by the amount of money he charges on his smart card), aligning his glass, pressing the button and hop: he’s served. Another revealing feature of the modern air blowing here: the arrangement of bottles ordered not by region but by their character: bright white, fruity, round, light red, powerful, etc. Stéphane Girard with his two “WINE by ONE” bars wants to put an emphasis on foreign wines which the French wine merchants usually snob them away. The idea in itself is revolutionary from a French perspective. We at Littlebôboon like his philosophy about wine and think that his concept is a great happening for wine lovers in Paris and in France.